Robert Haslam (Pony Bob) was among the most brave, resourceful, and best-known riders of the Pony Express. He was born January 1840 in London, England, and came to the United States as a teenager. Haslam was hired by Bolivar Roberts, helped build the stations, and was given the mail run from Friday’s Station at Lake Tahoe to Buckland’s Station near Fort Churchill, 75 miles (121 km) to the east. His greatest ride, 120 miles (190 km) in 8 hours and 20 minutes while wounded, was an important contribution to the fastest trip ever made by the Pony Express. The mail carried Lincoln’s inaugural address. Indian problems in 1860 led to Pony Bob Haslam’s record-breaking ride. He had received the eastbound mail (probably the May 10 mail from San Francisco) at Friday’s Station. When he reached Buckland’s Station his relief rider was so badly frightened over the Indian threat that he refused to take the mail. Haslam agreed to take the mail all the way to Smith’s Creek for a total distance of 190 miles (310 km) without a rest. After a rest of nine hours, he retraced his route with the westbound mail where, at Cold Springs, he found that Indians had raided the place, killing the station keeper and running off all of the stock. On the ride he was shot through the jaw with an Indian arrow, losing three teeth. 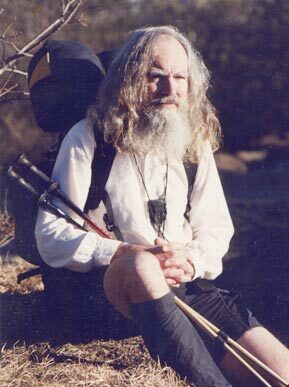 Finally, he reached Buckland’s Station, making the 380-mile (610 km) round trip the longest on record.